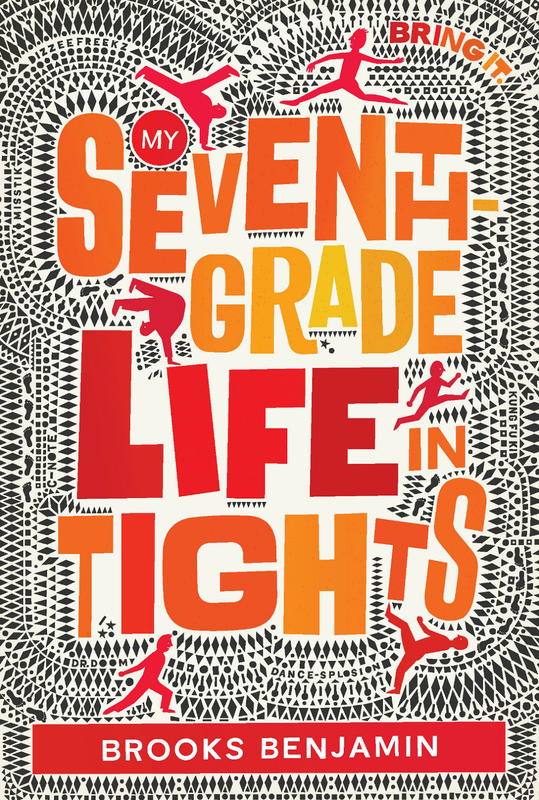 For 2016, we're adding the inside scoop on each month's debut middle grades! Not only will you find a clear summary of each of the debuts, but the authors are also providing a handful of tidbits about their stories or themselves. Read on to learn more about April's releases, and read previous months by searching the tag "Inside Scoop" at the bottom of this post! 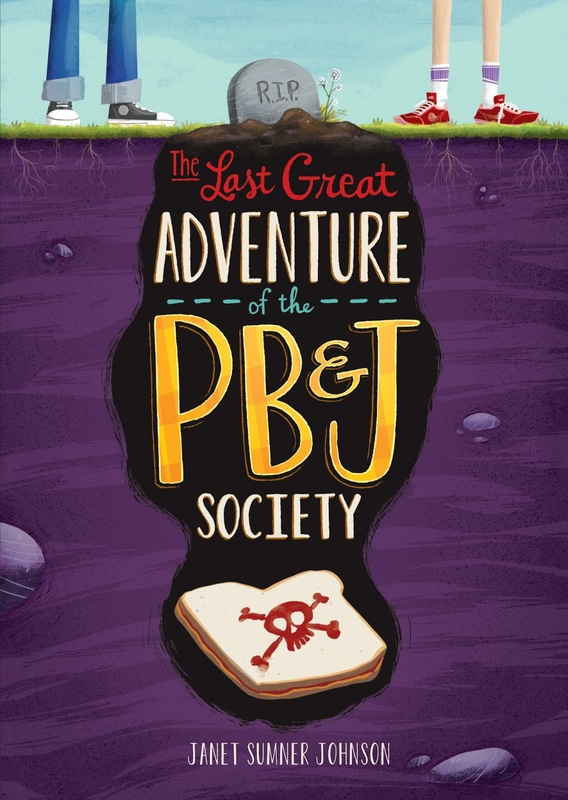 ADVENTURE OF THE PB&J SOCIETY. Here's the Inside Scoop from Janet Sumner Johnson! 1. In my book, there is a pirate captain named Cap'n Black Marge. While she is made up, I did some research and discovered that there were many real women pirates in history! (Check out the Barefoot Book of Pirates for more information). 2. Even though this book is fiction, many of the scenes in it were inspired by real life happenings. For example, in my book, Annie wins a radio call-in contest. When I was in college, I won several radio call-in contests. Prizes included dinner for 2, $100, and a trip to New York to see Michael Jackson in concert! 3. When writing the early drafts of my book, I created a real treasure map to correspond with the one Annie and Jason find. Xander Miyamoto would rather do almost anything than listen to his sixth grade teacher, Mr. Stedman, drone on about weather disasters happening around the globe. If Xander could do stuff he's good at instead, like draw comics and create computer programs, and if Lovey would stop harassing him for being half Asian, he might not be counting the minutes until the dismissal bell. 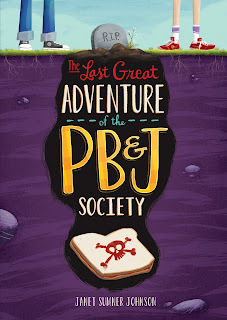 When spring break begins at last, Xander plans to spend it playing computer games with his best friend, Peyton. Xander's father briefly distracts him with a comic book about some samurai warrior that pops out of a peach pit. Xander tosses it aside, but Peyton finds it more interesting. Little does either boy know that the comic is a warning. They are about to be thrust into the biggest adventure of their lives-a journey wilder than any Xander has ever imagined, full of weird monsters even worse than Lovey. To win at this deadly serious game they will have to rely on their wits, courage, faith, and especially, each other. Maybe Xander should have listened to Mr Stedman about the weather after all. . . .
1. Xander's not very muscular or sporty, so he relies on the very things that got him into trouble at school-- his sarcastic sense of humor and his imagination-- to get him out of tight spots on this adventure. 2. There are plenty of scary creatures on the Island of Monsters, but there are also some fun ones-- like the tanuki, a talking badger, who throws a party for Xander and his friends. 3. Inu is based on my dog, Gatsby. Except Gatsby probably wouldn't look quite so happy if an oni were after him, as he does on the cover. 4. 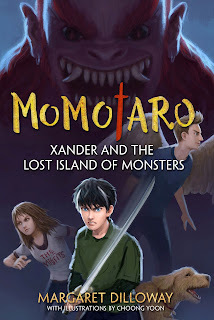 On top of becoming a mythical warrior, Xander's also trying to come to terms with the mysterious disappearance of his mother, even as he tries to pretend he doesn't miss her. 1. Thyme’s family is in a tough place, but they still have goofy moments, including a messy mashed potato-balancing contest! 2. One of Thyme’s favorite things is her Thyme Jar, where she collects time earned for doing chores. 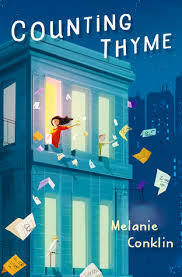 Thus the title, COUNTING THYME! 3. 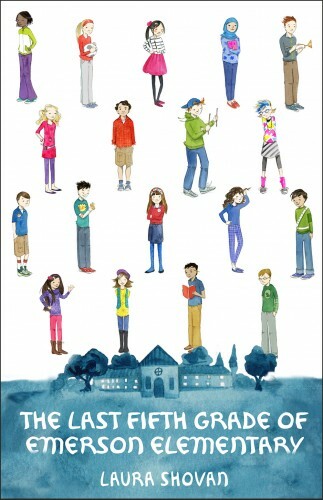 Thyme’s not just dealing with a new school and new friends, but her first crush, too. Sixth grade is not for the faint of heart! 1. Kassie is the choreographer for Dillon's dance crew, the Dizzee Freekz. One thing she always makes sure to do is tell a story with the dance. The team comes up with a fun idea and she builds the moves around it. 2. One of the unsung heroes of the Dizzee Freekz is Austin, an aspiring filmmaker. Although he never dances, he does record all of the practices and edits them together. 3. Secrets play a huge part in M7GLiT. Some characters have secrets they want to reveal but can't, while others have secrets they'll do anything to keep from getting out. 4. The biggest inspiration to the Dizzee Freekz is the Jabbawockeez, a famous dance crew that always dances in plain, white masks. They were the season-one winners of America's Best Dance Crew. 5. 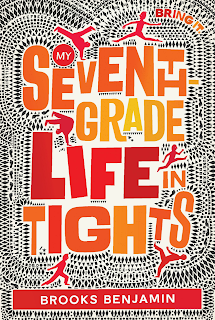 M7GLiT isn't just a book that celebrates dance and diversity. It also celebrates friendship, family, first crushes, and finding the moves that fit. 1. THE LAST FIFTH GRADE includes several pages of poetry writing prompts, along with mentor poems from the book, for readers who want to experiment with creative writing. 2. 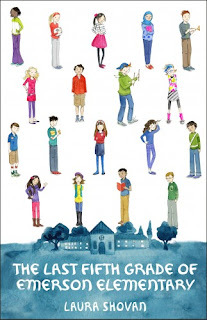 When I started working on this book, there were 30 students in Ms. Hill’s class! 3. A hamster named Refried Beans makes a cameo on the cover (he’s tiny). There was a real Refried Beans – he belonged to a middle school friend of mine. 4. Gaby’s poems were written first in English, then translated into Spanish by poet Patricia Bejarano Fisher. Last, Pat and I worked on translating the poems *back* into English, so they would feel realistic for Gaby’s character. Brothers, 14yo Jack and 12yo Bryce, have never gotten along but don't understand why...and there IS a reason why. Also, their parents are at odds. 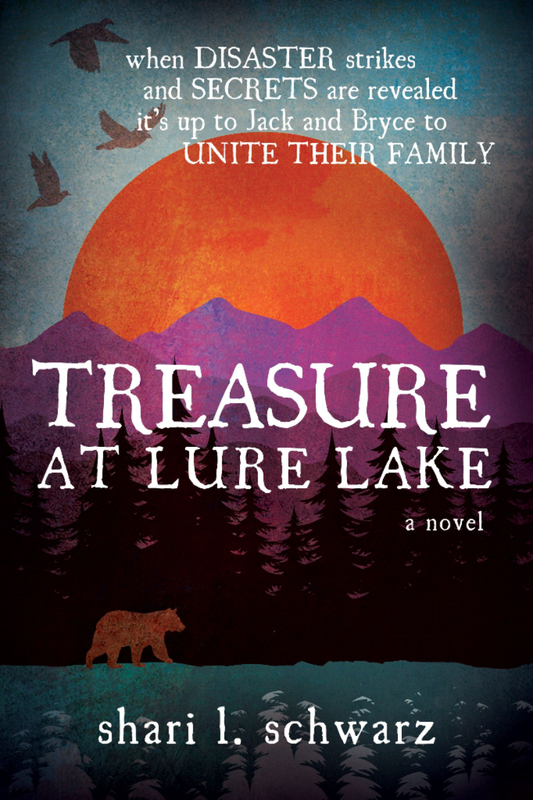 It hardly seems like they're a family, so when Bryce discovers a treasure map hidden along with some old family photos of his parents when they were young and in love, he realizes how bad off his parents really are and wonders what could have made them become so unhappy and if they'll get a divorce. 2. Have you ever wondered how to trap and skin a marmot? Well, me neither. 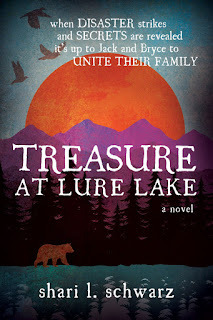 But Jack and Bryce have to figure it out pretty quick when they end up with only half of their provisions in the middle of the Rocky Mountain wilderness. 3. An NDE is a "near-death experience" and an OBE is an "out of body experience." Both are portrayed in the book in as realistic a way as possible using research from thousands of first-hand NDE and OBE survivor accounts. We hope you enjoyed learning more about these books and their authors. Stay tuned for next month's roundup of middle grade debuts and Inside Scoops! Thanks for sharing these! I found some great new ones to check out!